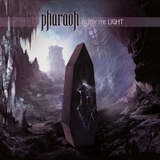 The mere existence of US metallers Pharaoh is a testament to a group of friends and professionals deciding to give it a proverbial chance, and then, realizing that they have a good thing going, continuing to hone in and develop the opportunity. True to their original form of the long-distance collaborative Chicago-to-Pennsylvania writing, the band is back with their fourth full-length Bury the Light, and I venture a guess that by now every truly dedicated traditional metal fan has been anticipating this record in eagerness. Having some writers and contributors to the venerable Metal Maniacs magazine in their lineup, Pharaohers maintain evolving, yet connecting to their previous musical creations on Bury the Light. Just like its predecessor Be Gone the album gives off hints of darkness from the start on Leave Me Here to Dream, but has those trademark recognizable epic expansive, yet edgy, tracks like Castles in the Sky (featuring a solo from King Diamond guitarist Mike Wead). Bury the Light is not the record breathing immediate accessibility, yet it keeps on churning, uncovering new facets every time you play it. Referencing the trough of earlier Pharaoh, the album continues with intricately woven melodies, plying together multiple harmonies and forcing rhythmic action to follow suit in either chattering staccato or smooth flow. It is very much non-linear, proceeding in a sinusoid-like fashion, rolling from balladic beginnings to straight speed metal (The Year of the Blizzard). However, if there is one steadying constant presence, it is the vocals of Tim Aymar, passionate, living on the edge, giving his all in every single song. The album contains very versatile mix of songs. There is super-aggressive Sodom/Destruction fitting The Wolves, and catchy commercial fit-for-single Burn With Me hinting of some guitar hero infatuation in between its brooding bass and strong predominant main riff. Pharaoh songwriters maintain that they are over their Maiden tributary years, but if Burn With Me and In Your Hands are any indication, it is the famous Brits who have some catching up to do. Having put an album away a few times only to come back to it later, I realized that Bury the Light, as much as it is sturdy and well-crafted, lacks the youthful enthusiasm and surprises of After the Fire or some strong individual standout tracks of Be Gone. Bury the Light needs to be experienced as a whole, several times, and preferably with a lyrical booklet in hands since the band puts a lot of thought and value in their lyrics (Graveyard of Empires needs to be a tabletop material for any politician who thinks a war in some remote faraway place is a walk in the park). Due to the timing of the album’s release, I have to submit this review now, for it to be relevant, however I have a feeling I will be coming back to Bury the Light and that formal numerical quote below is bound to rise.